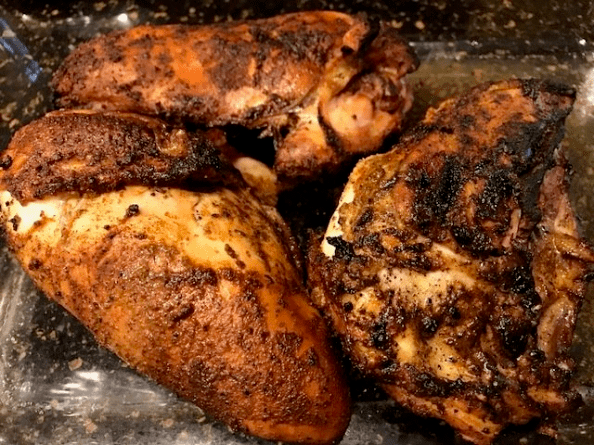 Sensational Seasoning’s Chicken Seasoning is a flavorful blend of spices and herbs that can be used as either a seasoning or a rub. Our Chicken Seasoning not only adds a unique 'zing' to barbecue chicken or baked chicken dishes (without adding heat), it's wonderful with any meat, salads, spaghetti sauce, chili, omelets, casseroles, roasted vegetables and any type dish where Italian herbal flavor is preferred. And the best part ... Our low salt Chicken Seasoning supports your healthy lifestyle as it meets the FDA's requirements to qualify as a low-sodium food product. Amazon Rating of 4.5 Stars! "Great flavor, I love that we can enjoy the seasoning without the added salt. Excellent on pork chops and steak. This has been a big hit with our family." "Tastes great on just about everything! I would highly recommend this to anyone who wants to take their food from good to AMAZING!"